Electrical switches, whether on a ceiling fan, garbage disposal,lamp, or a 3 way switch, will eventually go bad. 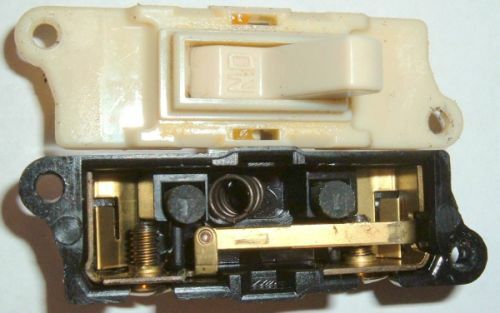 This article explains how to remove the faulty switch in a safe manner and install a new one. Replacing an electric light switch yourself will save the money that hiring an electrician costs. But how do you know when a gradually degrading toggle is getting dangerous and need changing? Sometimes it simply fails to power up the light, fan, or appliance that it controls. Otherwise, the toggle feels sloppy or loose. Time to roll up your sleeves and get to work. Dimmer switch: A dimmer does what its name says it does; it lowers or intensifies the light output. Is a dimmer appropriate for a ceiling fan? Not a standard one. However there are ones engineered specifically for fan lights. Single-pole switch: This is the one most frequently encountered. How is it identified? It is equipped with 2 wire terminals plus a ground wire. Its toggle is clearly marked On and Off. Whichever type youre replacing, the same basic steps apply. Isolate electricity to the switch by flipping off the circuit breaker that powers the it. How to determine which breaker it is? With any luck, it will be labeled on a circuit map in the circuit breaker box. If not, and the switch still functions, turn the switch on and put a circuit breaker in the Off position. If the light or appliance didn't turn off, flip the breaker back on and try the next one. If the switch doesnt function, go to the next step. Test for electricity using the voltage tester. Unscrew the switch and gently pull it out of the box. Loosen the terminal screws and remove the wires from the device. Examine the old switch to ensure that the new one is the same type. Secure the wires onto the replacement switch and tighten the terminal screws. If a wire is accidentally broken, strip off enough insulation to make the connection. If the wire is not long enough to do this, use a short piece the same gauge wire and 2 wire nuts to make a pigtail connection. Carefully push the device into the switch box and replace the screws. Ensure that no bare wire is contacting anything. Secure the light switch cover. This is a perfect opportunity to upgrade to a fancier model and ditch the ubiquitous ivory white one! 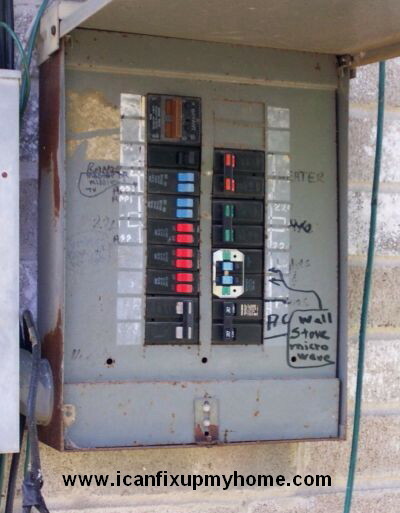 Flip the circuit breaker back on and try the replacement switch. If your light or appliance performs properly, your task is complete! If not, flip the circuit breaker back off and retrace your steps. Ready to get started? Do it yourself or find a local, screened electrician at Angies List.